What is SRCC's March Magic Program? It’s that magical month of March. For some in the club, this means miles, miles, and more miles. As a way to motivate SRCC members to jump start their springtime riding, to ramp up for the sunny months ahead, the club offers this crazy little challenge, complete with an on-line log for documentation. Make a goal for yourself: how many miles can you ride in the month of March: 150, 300, 500, 750, 1,000 or is it 1,500 miles? Make it official: post your goal at the March Magic online log. Then start rolling out the miles. Anyone can participate in the online log for free! But... if you want "extra magic" you can pay a fee and participate in the full "Magic Package," by following the steps below. The fee covers a special commemorative item and an after party/picnic. Challenge yourself, set a goal, ride your bike, talk a friend into joining you, help others by leading a club ride, log your miles on-line, ride your bike some more, get in shape... have fun and win prizes! Thank you to Joyce Chang and Scott Duncan for putting the March Magic program together this year. Register for the program here & pay the $8 registration fee. Closes March 10. Set your March Magic Mileage goal on the on-line log here. Note that you can do this without paying the fee but will NOT get the Jimi Wallet or entrance to the picnic. No exceptions. This program is for SRCC members only. To fully participate in the program you need to complete both steps listed above (steps 1 & 2). The $8 reg fee pays only a portion of the cost of this program; the Club will pick up the majority of the expenses involved. Registration closes on March 10th. Sign up to lead a Club ride here. Info about leading rides here. 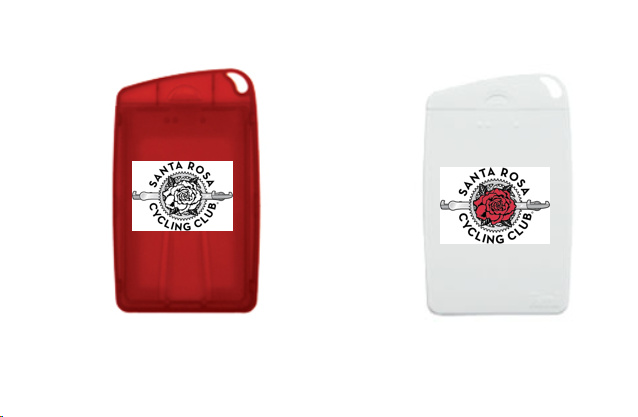 Everyone who leads a SRCC Club ride in March will be entered into a special prize drawing just for the wonderful ride leaders! Everyone who registers and participates in the program is invited to the March Magic Picnic and will receive a jimi wallet. Look for picnie registration to open in mid-March. The Jimi wallet is a compact, water resistant and colorful wallet perfect for cyclists.